You guys, we are MOVING this weekend. It's exciting. I love a good fresh start. I've lived in six states in a little over a decade, and in half of those I've called more than one address home. As discussed, we like to really lighten the load when we move; so true to form while we're getting a key this Friday, after that we need to get pretty much everything else. Usually (see previous post on budgeting love) I am all about economy. As is probably true for most people in my age / income / moving-lust bracket, I will take whatever furniture I can come by: cheap is good and free is better. A hand-me-down couch upholstered in turquoise peacocks, lumpy college futons, some great aunt's dresser dug out from their garage, that table left out on the sidewalk with a free sign on it, I've had them all. And been grateful every time. Furniture is expensive, and moving furniture is expensive. So in honor of the soon-to-be-ours empty apartment, let's talk about drool-worthy furniture. I love a platform bed. 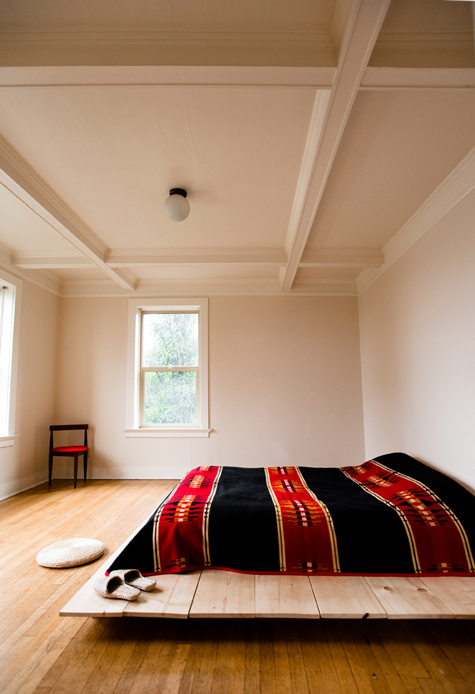 We like our bed low to the ground - we put our old mattress directly on the floor for the last year in San Francisco. It feels cozy and inviting to have a bed I don't have to climb up to get into. Also, in small spaces especially, it helps keep the room feeling open and more spacious. Ever since seeing Ashley Helvey's custom platform bed (top image) I haven't been able to get it out of my mind. (Not that I wouldn't happily just move into her whole apartment, as is, thank you very much.) The two options below that - the Midcentury Bed from West Elm and the Alchemy Shiny Brass Bed from CB2 - would also do quite nicely. (Again, in my dreams - not in my budgeting reality.) Falling in love with that last one surprised me a little; it might be really gaudy in certain settings, but I'd be up for the challenge. You know I love me some brass. 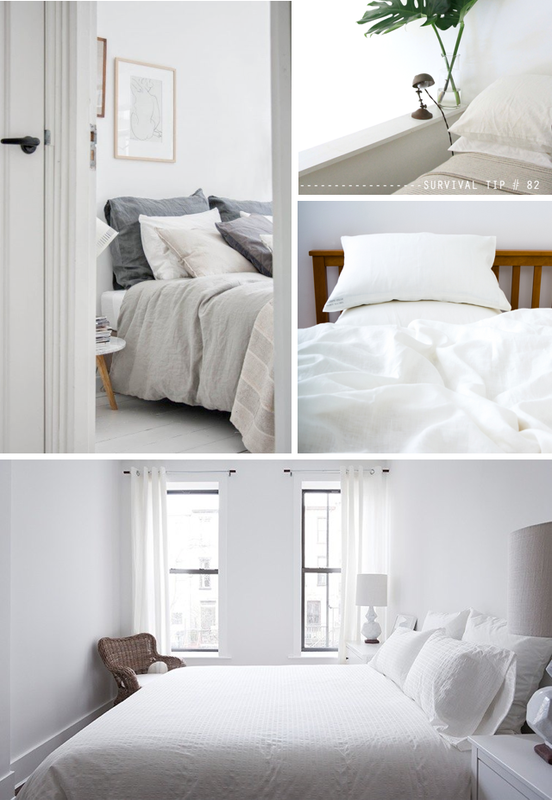 Between the grey Portland skies and my propensity for oversleeping, I think a bright white bedroom is a must in my dream home. Sadly our new place has "accent walls" of dark brown (!) and we are forbidden from repainting. I haven't given hope yet, though - I'm plotting solutions in my mind. Where there's a will there's a way. And speaking of bed, my darlings - I'm off. But stop by for tomorrow for apartment wishlist round two: the Freudian edition. Absolutely loved your post, I can totally relate to the economical furniture finds and all, being a student myself I'm always looking for cheap pieces of furniture myself. Hoping to see more posts from you soon!